In future this is where the list will permanently be. We have selected the bee as our class mascot. We have selected bees as our mascot for our 4th grade G&T class. We have selected bees because, they communicate well, they work together, bees help and support each other, they are hard workers and they persevere. Bees are excellent communicators. They are able to communicate through dancing, by sharing food and through scent. They communicate with each other to prepare for upcoming challenges and to keep the hive in order. Bees “speak” with each other to decide on hive responsibilities. We understand that communication is important in our G&T class. We will communicate as well as the bees in order to make our classroom flourish. We know that strong communication will help us to share ideas and understand each other. Working together is an important part of a bee’s life. Scout bees will locate pollen and communicate with the hive. Now instead of one bee collecting pollen you have a large group working together to collect pollen for the hive. As the bees leave the hive to find pollen they explore their surroundings and share the information working together to develop their knowledge of the area near the hive. Bees come together to protect the hive from predators. We will work together to share our ideas and knowledge to help support each other’s learning. Through working together we will be able to meet and achieve our goals. All day bees are working, this is where the phrase “busy as a bee” comes from. Every bee in the hive has a job to do. They are constantly working to support the hive. 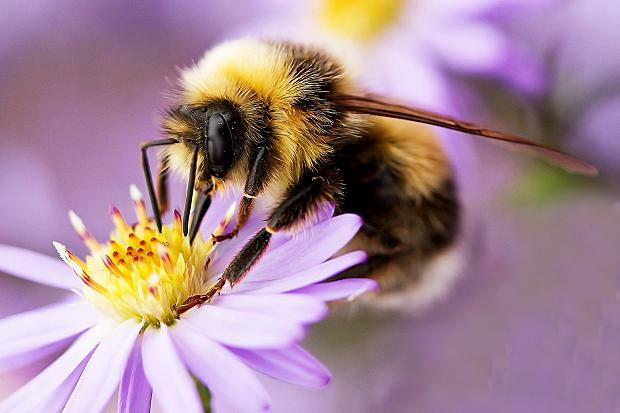 Bees continually collect pollen, often flying over huge distances to find it. They tirelessly create nectar to feed their fellow bees. When faced with maintaining and building their hive, bees persevere and never give up in the face of hard work. We reflect this behavior because we won’t give up on a project or responsibility just because it is hard. We will keep “trying one more time” because we know that “our greatest weakness lies in giving up”. Bees are a stupendous mascot for our G&T class. We are proud to be bees, because they are great communicators, they work well together to support the hive, and bees work hard and persevere. According to all known laws of aviation there is no way a bee should fly. It's wings are too small for it's large body off the ground. The bee, of course, flies anyway, because bees don't care what humans think is possible.